Jul7 by John M. Buol Jr.
USARCMP Service Rifle shooters competed against the best competitors from all branches of the DOD throughout a competition consisting of High Power Service Rifle (NRA and CMP) using accurized versions of military-issue rifles. For the Team matches, the Army Reserve Team was the Top Reserve Team for the 6 and 10 Man Team Matches. The Reserve Team also finished 2nd overall and the Top Reserve Team in the Infantry Trophy Match (which involves moving as a squad engaging targets). The ARCD Team won the 4 Man Post and Station Commanding General Team Match and the Post and Station Infantry Trophy Match. Individually, SSG Dave Bathen won the Interservice Navy Match (200 yard Slow Fire Standing). SGM Doug Withus was third in the Interservice 600 Yard Service Rifle Match. 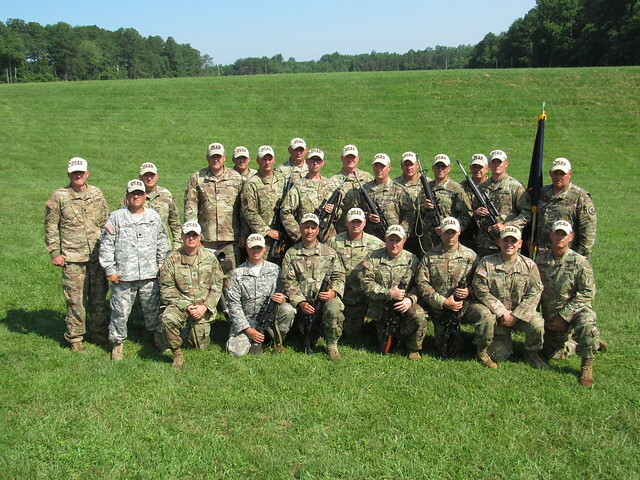 SGM Withus was also third in the Interservice 1000 Yard Service Rifle Match, while SSG Augustus Dunfey was the winner of that Interservice 1000 yard Service Rifle Match. In the Interservice Individual Long Range Championship Service Rifle Match, SGM Doug Withus was the winner and set a new Interservice Long Range record by firing a 398 with 20 X’s (Bullseyes) at 600 and 1000 yards. This entry was posted in Service Rifle and tagged FY18-summary, Interservice, Quantico.